A trend that has been really popular for quite awhile now is midi skirts. You can find so many different styles from solids, prints, velvet, chiffon, lace, tulle, pleats, and so many more. I am totally with this style right now. Not only are midi skirts cute, but they are great for work because they are always long enough! It is so annoying when you wear a short skirt sometimes. If it is a loose skirt you have to worry about the wind, if it is tight you have to worry about it riding up and you are constantly pulling it down. Neither of these happen with a midi (well they could but not as often). I currently have three, and I realized that all three would be great for Valentine’s Day. 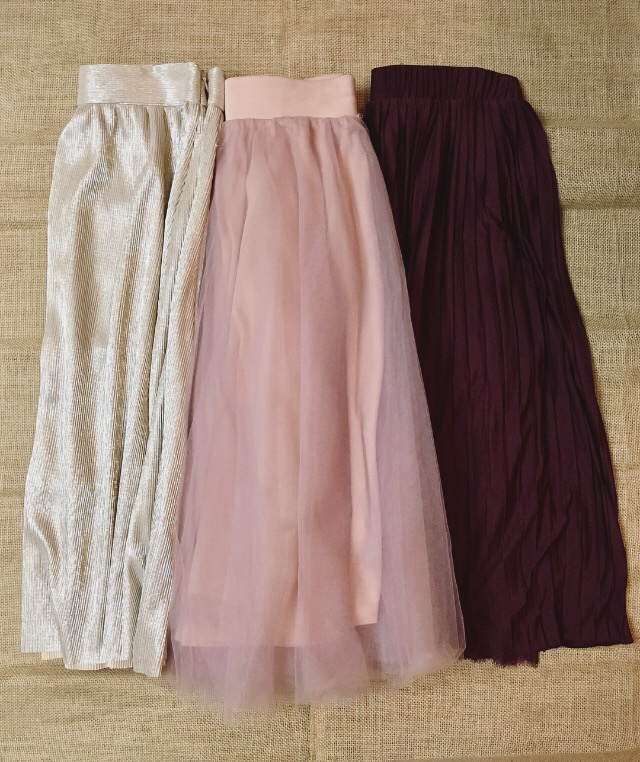 The tulle skirt I obviously posted already and am so in love with it (if you missed it you can find it here), the burgundy pleated skirt is a great way to utilize a different shade of the Valentine colors, and the gold can be paired with a pink or red top. Now all of these skirts I bought quite awhile ago but I linked some similar ones for you below!